The Nature of a Cat – Tree Dweller or Bush Dweller? 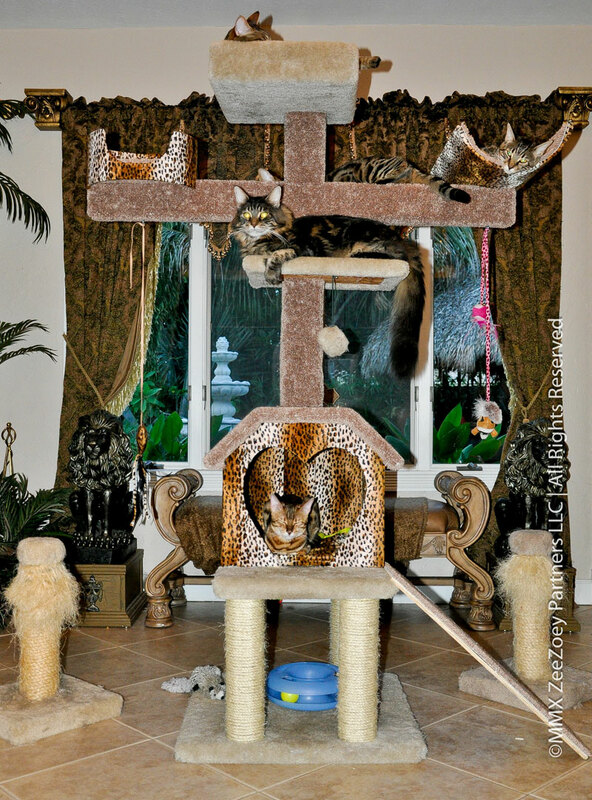 What cat wouldn’t love this custom-made five story cat condo! If there is one thing my cats have (besides my undying love) is options. Until watching episodes of Jackson Galaxy of My Cat From Hell, I had not really even considered that concept, in this case, what type of living environment was I providing for my cats to ensure they were as fully acclimated to their feline roots as possible while living in the confines of a “human world.” But after watching show after show, where he would constantly refer to cats as either being “tree” or “bush” dwellers and needing those critical respective vertical and horizontal spaces in their lives, I realized with great relief that I had those bases covered in spades, whether intentional or not. 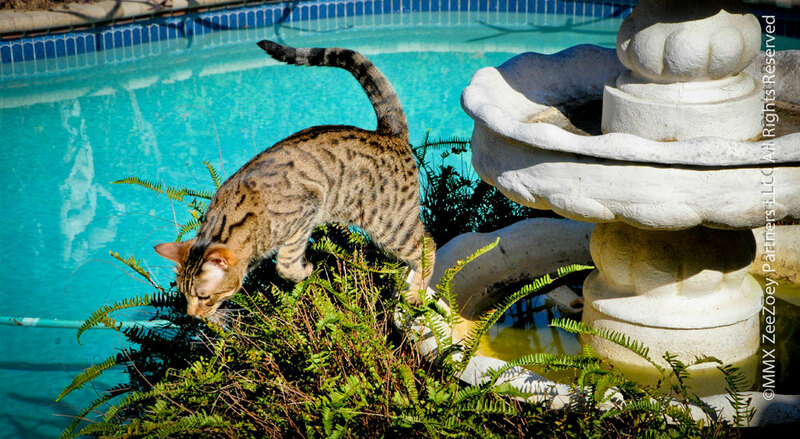 Our indoor environment is a virtual playground of high and low spaces for our kitties – we have numerous cat condos, from one level ranch style dwellings to five-story high rises. We have book cases, a fireplace mantle, counters, cabinet tops, and endless other pieces of furniture and accessories that let kitty perch with a bird’s eye view. We also have all sorts of low lying nooks and crannies for kitty to carefully hide for privacy or a safe haven. Generally speaking, those high and low moments are reserved for “events” such as heightened playtime, when some imaginary (or possibly real) ghost spooks them, when we accidentally drop a cookie pan on the floor with that clattering noise that terrorizes them to no end, poofy tails and all, or when company comes which causes all seven cats to scatter like bugs until they determine the terrain is safe again. Hedging a bet – napping on a bed when you are a cat is always a winning idea! Truly, the majority of their behavior is spent right smack in the middle – primarily on top of a bed or couch – in full view of the world for the majority of the day and night. What would that be called? What is that middle ground between a tree and a bush? A hedge? Regardless, what is most fascinating is what transpires when we go outside for our weekend jaunt. Instinct seems to kick in and each cat assumes much more of an assertive preference for vertical or horizontal space. Harley. For Harley, the highest point I have ever seen her on is the couch cushion… not even the back of the couch, just the cushion. When we go outside, she is what I would call a “door lurker” and neither a bush or a tree dweller. She just likes to stand on the sidelines, behind a potted plant, by the door, and watch everyone else hunt and roam. She has actually ventured to the tiki within the past couple of weeks and likes to look at the world through the deck railings, all while still keeping a close eye on the door in case she needs to make a quick exit. I see no indication of her trying to hunt, she just sort of seems to enjoy the fresh air and prefers no physical exertion whatsoever. I’m not certain if she has ever seen a lizard and I don’t know that she would even care to, even if we put one right next to her. 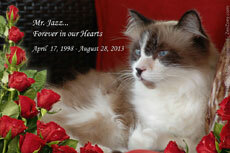 Jazz has made his rounds and will be heading back into the house. Zee is in the foreground getting ready to jump up on the tiki railing. Jazz. In his old age, Jazz has lost most of his interest in going outside and likes to remain on our bed in the mornings when we go out. I would say that when he does come out for a visit, it is for a nice walk around the grounds, as if he is inspecting them to make sure all is well, then he will mosey back into the house. He also, shows no preference for bush dwelling or tree dwelling space and likes the comfort of a warm and cozy bed. His hunting days are long gone (other than wads of paper thrown on the floor) and he leaves the wildlife to the youngsters. Mia loves being up in the highest spot she can find in the tiki. Mia. Mia is decidedly a tree dweller. You will frequently find her sweet little face turned upward, as she is looking for a high spot to perch from. She loves climbing to the top of the tiki rafters and will do an incredible balancing act as she walks the supporting beams. Dan will bring her back down when she is ready, but don’t let this tree dweller fool you. When it is time to go in, she will hide under any bush she can find so that we can’t easily reach her to bring her in the house! Peanut all raring and ready to go outside!! Hmmm…. I suppose that leopard does look a bit sneaky upon closer inspection! Best to be safe, Peanut! Rolz. Rolz is the King of the Jungle in every sense of the word. 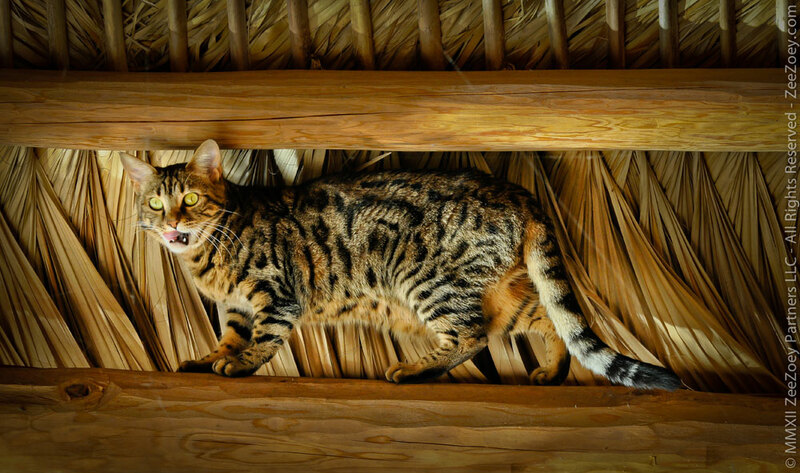 He is our best hunter, and while he has taken a few trips up a palm tree, he likes to lie low and hunt stealth style. He is definitely a bush dweller and also likes to forage under the tiki. Countless lizards have been saved from an uncertain death by Dan, which I am quite grateful for. Zee. Zee is like the “Zip-A-Dee-Doo-Dah” tune from the Song of the South movie and likes the middle ground of everything. He is a Virgo cat, but is a Libra at heart. 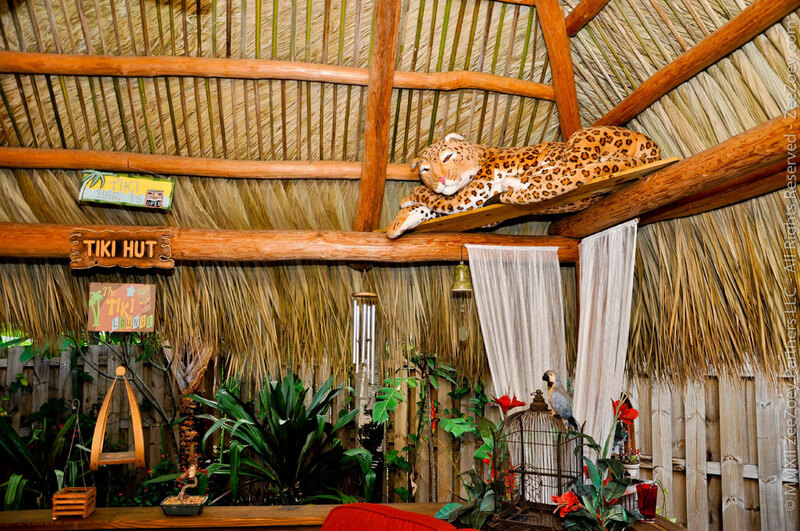 He loves balance and prefers that most of his time outdoors be reclined on the tiki railing where he can see all the comings and goings, both from above and below. He will wander the allotted vicinity, munch on a bit of greens, take a quick nap on the cool pavers, then make his way back to the tiki railing. He is normally a very sweet boy, but does tend to get surly when it is time to bring him in… rumor has it, he has even hissed at his displeasure of being unceremoniously picked up to be brought back in! And, as far as heights, forgot about that. Zee is the epitome of a clumsy oaf and when he tries to jump up to high places, well, so as not to embarrasses him, let’s just pretend we never had this conversation. Zee is completely content to look at the outside world from mid-level. Zoey. Zoey is the only one who has to wear a leash and harness. She is a wild girl and the ultimate tree dweller. She loves to climb trees and the higher the better. Nothing spooks her – including water. When we turn the waterfall on, she comes running, completely enthralled, and will soak her paws in it, trying to catch the rushing current. 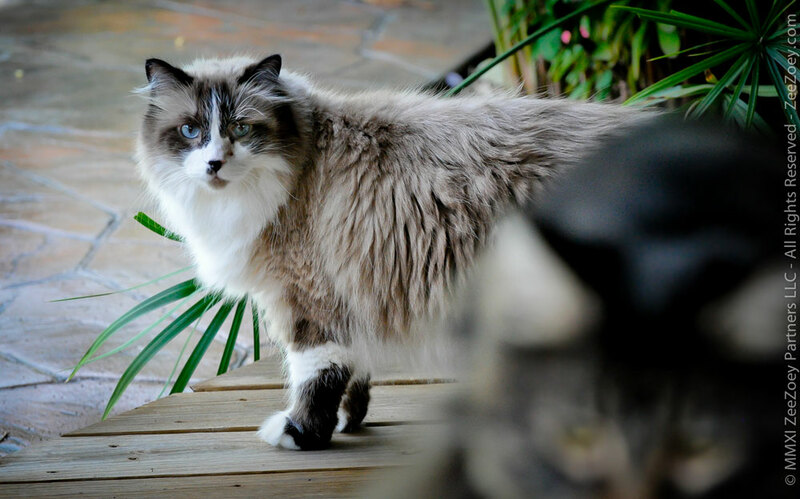 She loves to come outside, but you would never know it. She plays a ridiculous game with me when I get her harness and will run and hide until I can find her. Once I do, she loves being outside. When I bring her in, she growls very loudly at her displeasure! 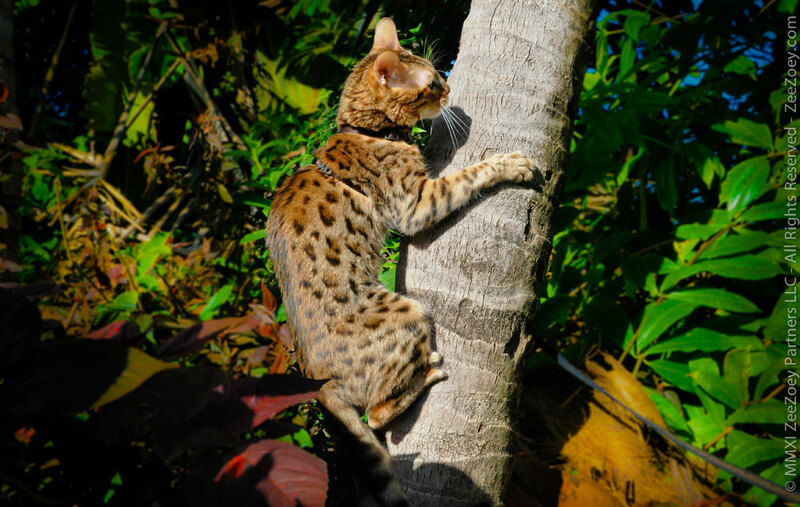 One would swear a wild leopard was climbing up that tree at a quick glance, but it is just our dear Zoey who is showing her preference for vertical space! What about your cats? Are they tree dwellers, bush dwellers, or a bit of both? 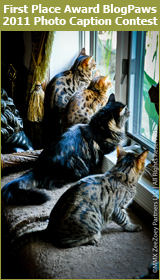 Cat Count Camouflage – Hiding in Plain Sight! 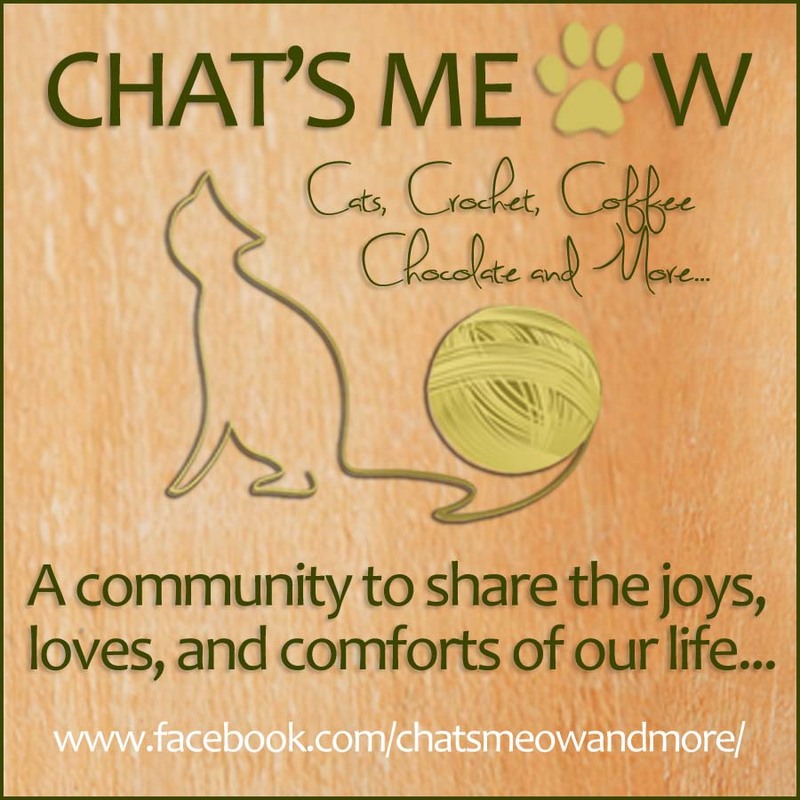 Respect Your Cat Day – An Ode to the Obvious! Wow, those kitties sure have a good life. They all just what they need. Loved seeing all of them doing what they really like to do. Great post. Take care. Outstanding post, Deb! Your house sure looks like a kitty paradise. Thank you Ingrid! 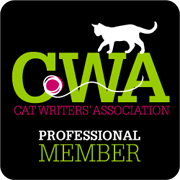 I will have to do a video tour one day – this post is only the tip of the cat iceberg!! 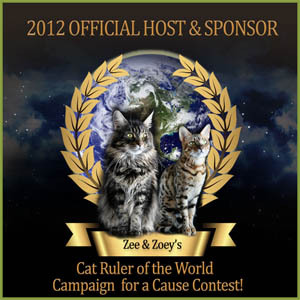 I am with Ingrid…your house is a veritable kitty wonderland!!! Cody is definitely a “TREE DWELLER” no middle ground for him! Kitty Wonderland! I love it Caren! I can see Cody liking to perch and watch the world from above! I really envy your kitties having such a lovely yet safe outdoor space to explore. And that ginormous cat tree– wow!! I’m not really sure I 100% buy the tree/bush dweller concept, primarily because my three have never shown such preferences. Of course, it could just be that they aren’t normal kitties, LOL. That’s funny Julia! It’s really hard to say – as I mentioned, Harley and Jazz have no tendency whatsoever towards vertical or horizontal space! Looks like kitty paradise to us. I like a mix of perches, nests and hiding places. Variety is the kitty spice of life. Absolutely Layla! 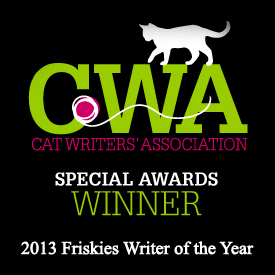 Variety is the kitty spice of life and we do our best to keep our gang happy! I’d say a bit of both. Malachi can almost always be found on the tree, but the rest rotate positions between tree, bed and chairs. Yeah Rumpy, the middle ground is typically what rules the indoors in our house! Wow, your cats have it deluxe! My place is way too small, and most of them don’t go outside, at least not together with only one me and no good boundary, but they make the best of it. I only have one cat tree, but they have open spots on tall furniture that I leave open and most can easily reach, like the wild run up the steps to the windowsill to the wardrobe to the shelf up near the ceiling. But I love to watch them and photograph them outdoors! In the past I’ve always tried out the tree/bush (I called it “plains”) dwellers with toys as well to see how they stalked and chased them and at one time sorted their toys into “birds”, which the tree dwellers seemed to prefer, and “mammals”, which the plains dwellers seemed to prefer, to satisfy the individual preferences. 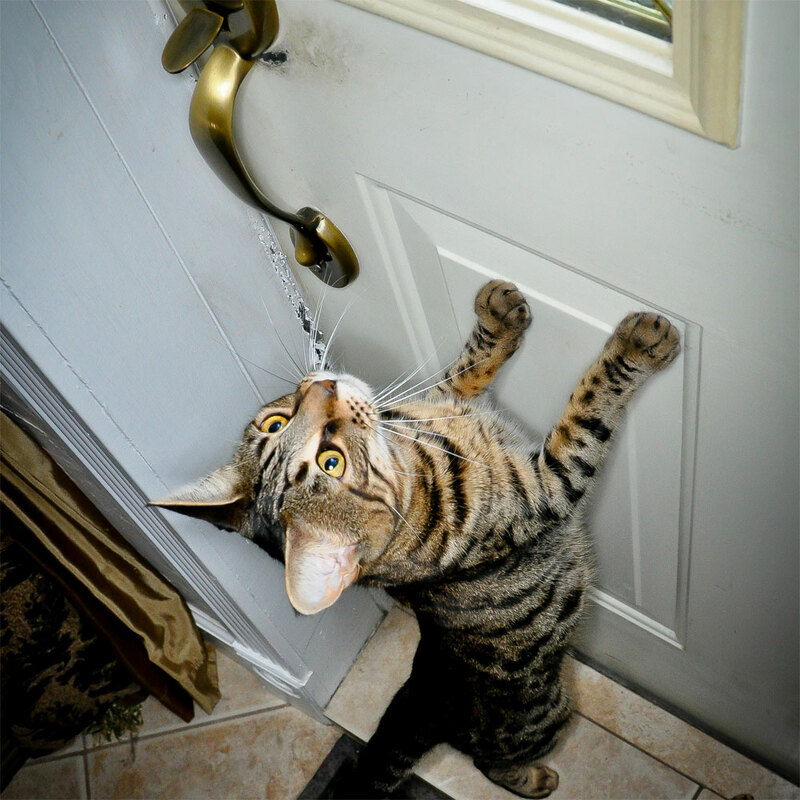 Bernadette – were it not for Dan, I could not let my cats out either. It is a team effort managing them and I would never put their safety in jeopardy, so I can understand why you can’t let your cats out together. I like how you have experimented with toys based on birds and mammals! KC and Boyzie are definitely tree dwellers, and they can frequently be found in the highest spot in the house (on top of the refrigerator). Zelda is a bush dweller, and she is often underneath my bed or the sofa. Sugar is flexible, although her favorite spot on top of the chair in the living room because it gives her full view of the birds in the neighborhood. 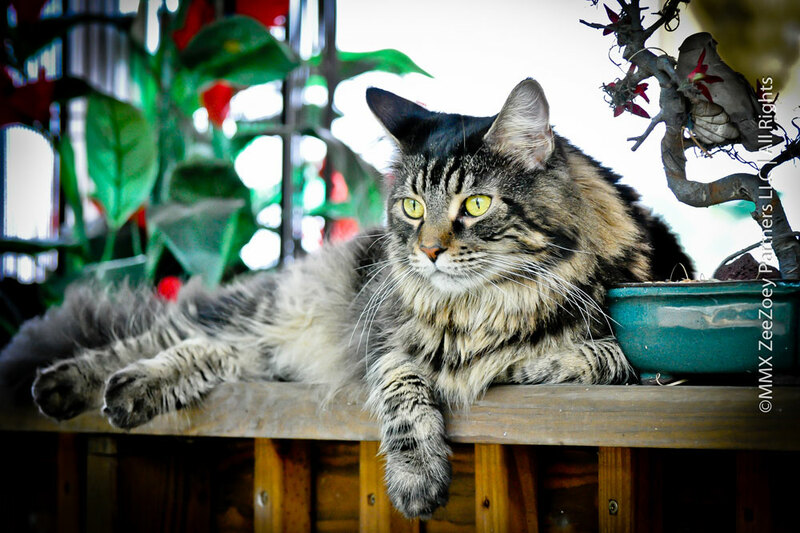 Breckin is an outdoor cat, so I really don’t know where he is all day – but come dinner time, he’s on my back porch! 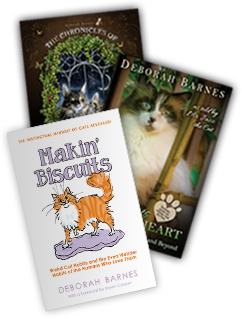 Vicki – thanks for sharing the habits of your cats! 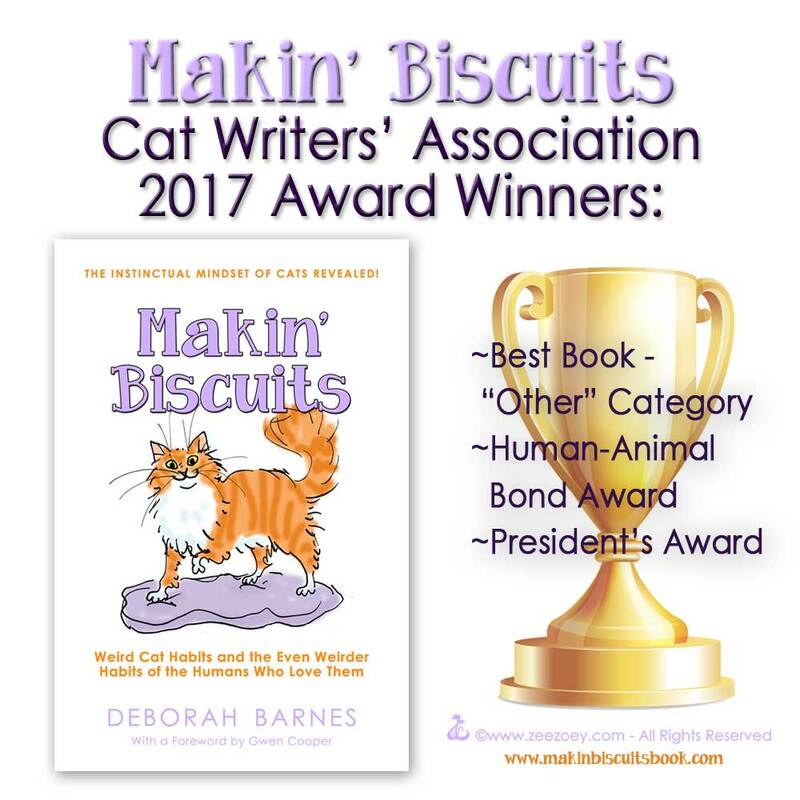 I find this to be a fascinating subject and love hearing how other cats behave! Oh Wendy…. follow the lead of your kitties. Give it time and all will be well. I love how they have adapted in their own individual ways to their new surroundings! Oh how I love your posts and the photos. Your home is beautiful and well planned for both human and cat comfort. No doubt it’s the ultimate cat paradise. I was debating about buying a cat condo since they are now on sale at Petsmart but I’m not suppose to have any pets in my condo. Besides, my kitties are permitted on select countertops, top of fridge, cabinets, closets racks…My home is spacious two bedroom condo so the cats have space to run and climb. 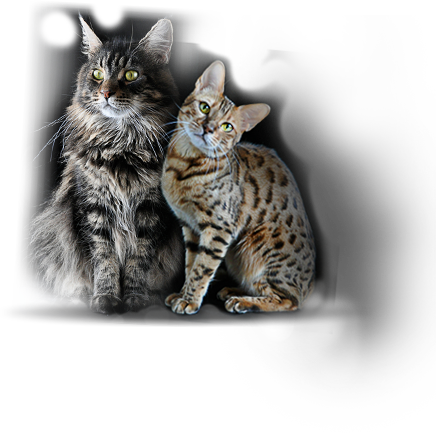 But your homelife with cats is what all cat owners should aspire to–ensuring our pets have sufficient vertical and horizontal space for their needed exercise and good health. Thank you Christine! 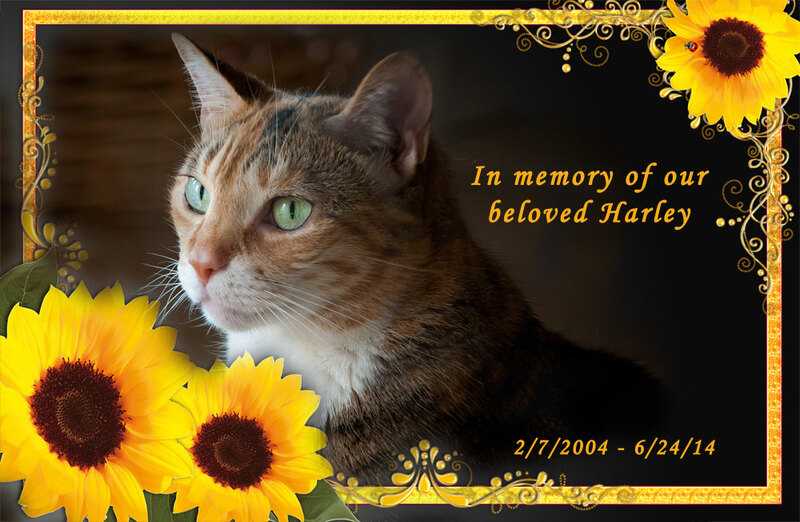 We made our minds up a long time ago, that the happiness of our cats far outweighed any material items. So, a lot of our collectibles have been packed away so that the cats can jump up the mantle and counters without causing us concern of something breaking! 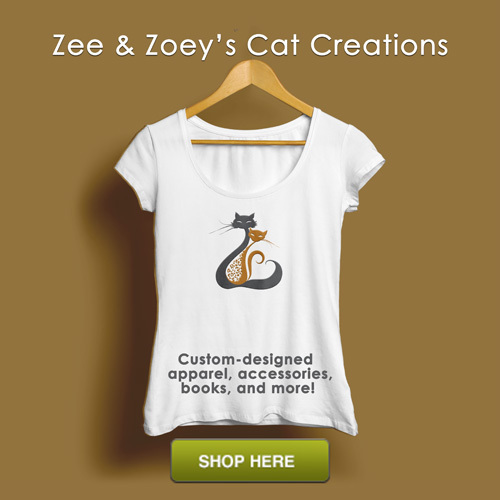 We wanted a balance – our cats are part of our home, and therefore it should reflect their wants and needs as well. It really helps encourage not only exercise, but it also curtails a lot of behavioral issues, because we give our cats the tools to be healthy cats! Geez, Deb, you’re right. You simply can’t take an average picture of Zee. As for my cats, they like being a few feet off the ground. On a bed, in one of my Window Beds — with the heater plugged in, of course. Michael – a plugged in heater! I love how much we love our cats and give them the best life possible! Love the Tiki Hut!!! Faraday would agree with Peanut – that is one scary stuffed dude, LOL! Faraday’s most like Zee, but I think both their breeds are prone to that (Tonkinese are known as athletic acrobats). Love the idea of this post – instead of taking up hordes of space on your blog, may I borrow your idea? LOL Lisa! 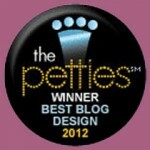 I am thrilled you love the idea of the post – as long as you give us a shout out, borrow away! 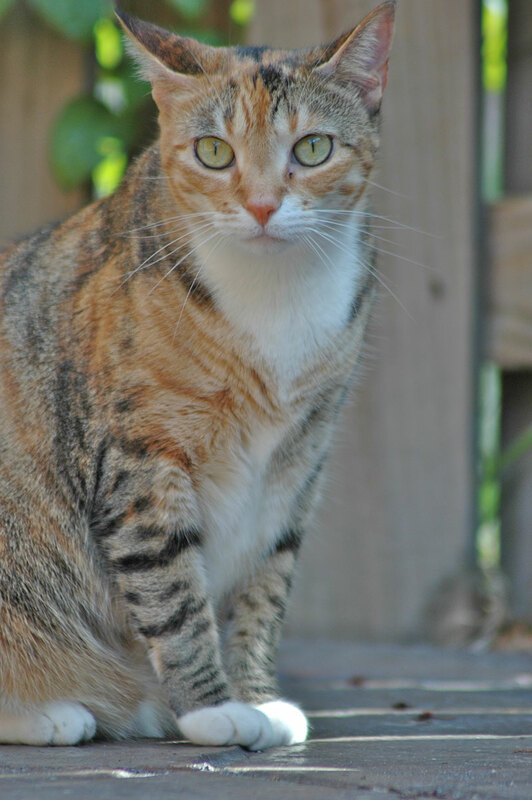 Savannah – we don’t let our cats either unless it is the weekend jaunt. It is a fenced yard and they are 100% supervised. But, they really love it and look forward to it all week! It does sound like a harness would not go well with you! We started out with Zoey when she was very young, so she always took to it! I happened to have stumbled across this post and simply adored it!!!! Your kitties are living the sweet life! I was never a fan of cats well honestly, I hated them; until a friend who worked at a vet brought home this tiny, little fur ball. The owners children had stepped on her and didn’t know what to do because she was only a week old. Well my friend spent every two hours feeding her with a tiny medicine syringe and with two days she was lively. Unfortunately, the owners did not want her back even though she hadn’t been weaned from her mother. So he decided to keep her and continued nursing her. She is now 3 1/2 months old but I adore her to pieces. I love her so much that her coming into my life helped me become aware of the mistreatment of all animals and is pushing me to be an advocate, through writing letters, signing petitions and donating money towards animal rights groups.